Explore Lisbon’s riverside on a 90-minute SITGO tour. Take this innovative mobile chair and cruise down the street and see landmarks such as the April 25th Bridge, the Discovery Monument, the Jeronimos Monastery and Belem Tower. 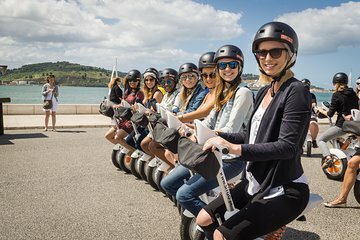 Take in the wonderful coastal views and learn about the city in a unique way.